For example does an IQ test really determine intelligence or some other skill? It is used in the selection process as it is important to know whether the measures used during the process truly reflect job performance. The term construct indicates psychological traits tested in the selection process such as leadership, mechanical ability, intelligence and so on. These traits are listed under the job specifications section of the job design. 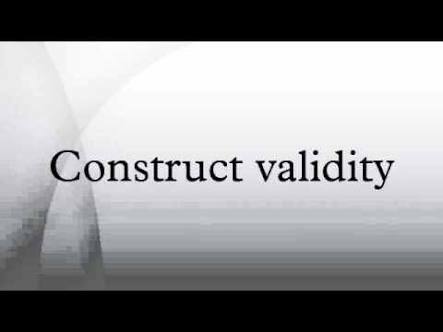 Construct validity is determined by a strong statistical correlation between the job measure and the selection procedure. Hope you all had a Great 2016. Wishing you all great Success in 2017. You can View all HR Words from Below Link.